For example, the Cuban Church’s magazine Palabra Nueva (New Word) could be more combative and summon the faithful to the battle to receive Pope Benedict XVI. They should also call the more convinced militant Catholics to be in the front line of battle to defend the conquests of Cardinal Jaime Ortega, and to intercept, with total Revolutionary intransigence, the dissidents, mercenaries in the service of Lucifer who seek to disunite and confuse the true believers of the Cuban church by unjust social demands that compromise the pristine image of this kindly government. 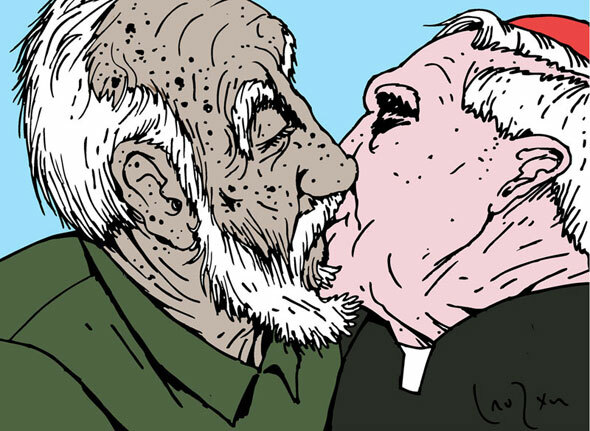 A Catholic must consistently remain silent about the abuses to its neighbors and mercifully look the other way when government agents suppress other Cubans. To the provocations of the mercenary Pharisees they must keep on fighting in all the churches, especially if this occurs on the eve of the Pope’s visit. The preaching could well make it clear that the churches are for Revolutionary Catholics and they must organize repudiation rallies* against those who seek to divert the true essence of the institution: to defend to the last drop of blood the Ortega-Castro unity, unique and authentic interpreter of the Divine Will. No ordinary Catholic will have the right to question the administrators of the cult, politics is no business of the Church… except for the Cardinal, who — and let this be very clear — it is not the same, although he is equal. It could be that under these principles “of the barricade”, the Church will not be very convincing with regards to its spiritual mission, perhaps it will even lose followers again, as it did when the Communist Manifesto was imposed on the Bible. We must remember that in more recent years Revolutionary believers have been enthusiastically welcomed into the ranks of a Party that until recently was chasing and harassing them; and in a friendly gesture of love for his many Communist militant fellows who began to hang crucifixes around their necks, baptize their children and return to Mass, which demonstrates that the current partnerships have long-standing roots. Speaking personally, I doubt the moral integrity of those who once abandoned what they now claim is their faith. But I stress the issue of renewing the Church’s official language. I think that at least this way the religious discourse would be more consistent. We shall see, later on, whether it would also be convenient to change the color of the robes. After all, olive-green is lovely color, and will harmoniously complement the eyes of our beloved Cardinal. Final note: At the moment that I’m uploading this post, Monday March 26, 11:25 am, there are operatives around the houses of many opponents, dissidents and civil society activists in Cuba. Such is the case with Orlando Luis Pardo Lazo. Many cell phones have been cut off and fixed telephone lines interrupted. The pack is heading for the witches’ sabbath. *Translator’s note: “Repudiation rallies” are mobs of people organized by the regime who attack verbally, and frequently physically, opponents, surrounding their homes or confronting them in the street. When, during the First Conference of the Cuban Communist Party (PCC) held in January, the General declared that the Revolutionary press should be transparent, there were those who believed him. Even some professionals of the official press (which is a very particular specialty) bowed their little heads sadly, eyes tearing up, when the Second Ancient One of the dynastic order, with admonitory finger raised to show his disgust, gave them on that occasion a small but severe reprimand. They had to banish secrecy from the Revolutionary press. Clearly, the employees of disinformation didn’t manage to offer, in the newspapers, the necessary turn it would take to really make it seem that the General was renewing things. Just in case, and to avoid creating a chaotic opinion that would benefit the schemes of their enemies, this style carefully doses such critiques with praise for the extraordinary social end economic advances, such as the hand crafting of building blocks in the municipality of Sierpe, or the production of potatoes in Sagua de Tánamo. That is what is truly momentous and what the General and his Greek Chorus of the Ink call transparent journalism. But other voices have decided to do journalism and to report in a transparent manner, so the official press is having a little difficulty maintaining the tone. Citizen journalism is where there are no reporters from the official newspaper, Granma, and the other government media. Because of this we have been made aware of events that are not published officially on the Island, but that are happening, such as, for example, the hunger strike of Dr. Jeovany Jimenez Vega in Guanajay, to demand that he be reinstated in his job, that has already gone on for 18 days. Or the recent incident that occurred at Vento and 100th, in this capital, where it’s said that a car from the Venezuelan embassy was attacked and hit (by bullets, say some; by stones, say others), but the truth is that it happened and numerous contradictory rumors about it are circulating without the official press bothering to offer its own version. As if so much murkiness weren’t sufficient, the official maneuver has been “to inform” the nuclei of the PCC in workplaces that two anti-socials stoned an embassy car “from our sister Bolivarian Republic of Venezuela,” which creates major confusion, as the most naive wonder what reasons anyone would have to injure representatives of our benefactor of the moment. 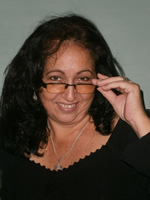 Moreover, this procedure implies that only the Party militants, barely a small fraction of the Cuban population, not only have the right to a kind of information that doesn’t reach the rest of Cubans, but also the responsibility to “counter the distortions of the enemy which is trying to confuse the people.” Some militants, however, suggest that it would be much easier for the official press itself to clarify the many doubts and to eliminate those risks. But I am a citizen journalist in good faith. Perhaps now the press will come out with an explanation about the subversive posters that appeared yesterday, March 22, on 33rd Street in the Playa municipality, in this capital. And I also hope to know what else was there, in addition to posters, that justified the enormous number of police and other members of the Interior Ministry (MINIT) who swarmed within a wide perimeter of the area. For now, the only thing that is transparent in the General’s press is the total lack of transparency. A press release signed by Orlando Márquez Hidalgo was published in Granma under the title “Havana Bishopric Calls the Occupation of the Temple Illegitimate*” (Thursday March 15, 2012, page 2.). This is merely a genuine sermon from the director of the popular magazine of the Archdiocese of Havana, Palabra Nueva, against thirteen dissidents who remain in the church of La Caridad, in the capital, as he states in the same note, referring to Pope Benedict XVI’s imminent visit of to Cuba. Given the importance of the facts stated by Mr. Márquez Hidalgo, as well as the appearance of the note itself in the newspaper that, as we all know, is the official organ of the Cuban Communist Party and, consequently, a political venue, it would have been valuable and appropriate for all readers to determine the news article’s other relevant aspects. For instance, the article makes references that the complainants carry “a message” and “a series of social demands” to the Holy Father, without stating the contents of the message and of said demands. Publishing without informing seems to be the journalistic style that the Catholic Church shares with the official press through its spokesperson. Márquez, of course, assumed that Granma would publish his admonishment against the bad Catholics only if it did not specifically contain the most important part of the event. 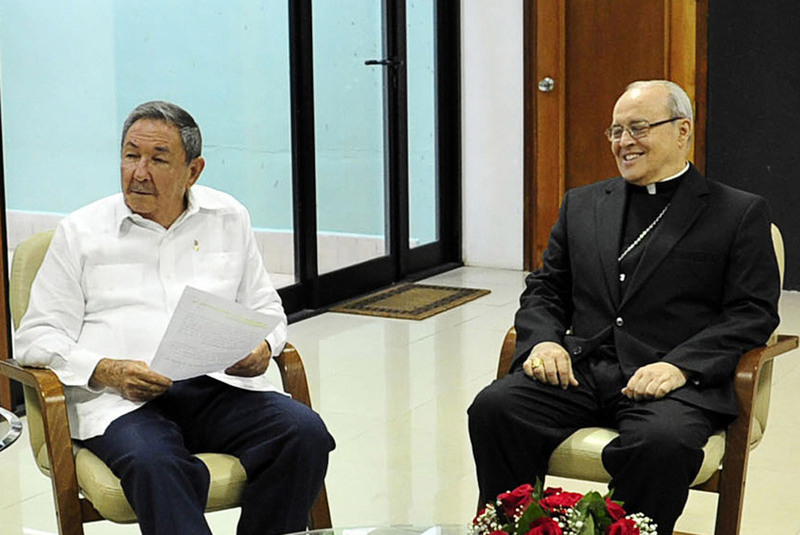 However, what was not removed from the Archbishop’s note was a cryptic line devoted to the conciliatory attitude of governmental authorities, “who pledged not to act in any way”, which reminds us that the Cuban dictatorship has previously allowed itself the right to unceremoniously violate sacred spaces of worship, and has never apologized for it nor has it publicly been reprimanded by the Catholic authorities. In the absence of details, we also had to rely on Orlando Marquez’s sagacity when he assures us that we are facing “a strategy developed and coordinated by groups in several regions. It is not fortuitous, but well thought out and apparently aimed at creating critical situations as the visit of Pope Benedict XVI to Cuba nears”. (The emphasis belongs to this irreverent writer). The only thing missing, for a greater resemblance to the official language, was that they were directed and financed from abroad. I thank Márquez for being at least kind enough not to succumb to such a temptation, but, who can overlook that Cubans have been in critical situations for decades, not just created by our own will, and even without inconvenient dissidents occupying the places of worship? Now then, the Templo de La Caridad remains open for religious service with these thirteen still protesting inside. Without disclosing the content of the demands, and with such controls as have been set up at the entrance to the church, it should not be said that the location is being used as “place of public political demonstration”, but rather a possible mousetrap for the petitioners as soon as the authorities decide to tear off the mask of kindness. It also occurs to me that, rightly or not, maybe this is the most effective way some Cuban groups have found in order to be heard, since they cannot count on the media to express themselves, as both the Catholic Church and the government are able to do. This signal, in itself, should be viewed by the Cuban Church’s Hierarchy as a cry for help and not as sacrilege. I confess that perhaps because my religious circumstance makes it difficult for me to understand some of the accepted Catholic official discourse, or maybe I suffer from a kind of allergy when faced with all official discourses. For example, I don’t understand how you can serve Christ, defender of his people and indeed dissident in his time, while protecting only the powerful. Doesn’t the Cuban Catholic Church grant privilege to those who suffer the most? Aren’t dissidents precisely who are most in need of protection under dictatorship conditions? Why haven’t senior representatives of the clergy never dedicated a Mass in memory of such a worthy and admirable Cuban, Laura Pollán, or to Orlando Zapata or Wilman Villar, and have instead made fervent wishes for the health of that other bellicose and foreign leader, Hugo Chávez? Doesn’t that amount to taking political positions? At this point, it is too hypocritical to pretend that all is well in Cuba, whether the Pope visits or not. It is also a childish lie to deny that the church is a political and not just a religious institution that has survived, though not in vain, powerful for nearly two millennia. The Bishopric’s note seems to respond more to an official demand of the Cuban government than to a feeling of true Christian faith. And just in case I’m wrong and faith calls for remaining quiet and look away; if, by virtue of that faith, Benedict XVI’s visit should be surrounded by a solemn choreography and by a cloak to hide the reality of our country, I don’t think that is the faith that Cuba needs, and may God forgive me. Final note: March 16th. 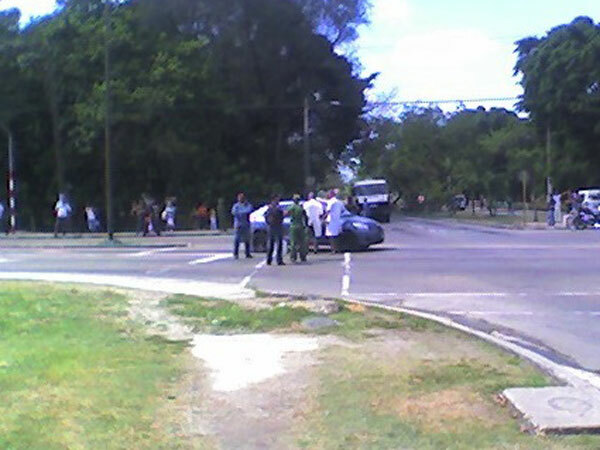 Last night, at the express request of Cardinal Jaime Ortega, the Templo de La Caridad was cleared by police forces. Testimonials from some of those involved say violence was used and the dissidents were shackled, threatened, and dragged. This is evidence that belies the supposed dialogue between the Church and the government about the latter not taking any action against the occupiers of the church. The Cardinal has not only once again unequivocally taken sides with the government, but, by the way, has left the editor of the Catholic magazine Espacio Laical in very bad standing. *Translator’s note: The original press release does not appear on Granma‘s English language site; the link is to the follow-up press release after the protestors were removed. Repression of dissidents. Picture taken from the site Cubamatinal. I recently read a document on the net that captured my attention immediately because of its suggestive title and the justice claimed in its content. Grupo Concordia (havanatimes.org) in Contra la Censura en Cuba, dated February 27th of this year, has complained against certain official actions which states that “in recent months…have been carried out against cultural and informative communities and groups of the Cuban population”, and it describes some highlights in this escalation of censorship. The document in question takes into account the date November 25th, 2011 as the beginning of the acts it denounces, when the First Cultural ArtEco Festival was suspended in San Antonio de los Baños: Art, Ecology and Community, organized by the Collective La Rueda (a “libertarian socialist” group) financed by the personal resources of their moderators. Later on, it includes the case of the scheduled program for the project “State of SATS”, dated February 10th, 2012, sabotaged by political police agents when pressed to prevent the attendance of one its main guests, the American poet Hank Lazer, scheduled to participate in the show. Both he and his compatriot, musician Andrew Raffo, who would also be in attendance, were visiting Cuba for the celebration of “ten years of collaboration between the Universities of Alabama and San Gerónimo, in Old Havana”. Finally, the “blocking of the email address of the Critical Observatory (observatoriocritico@gmail.com) during the month of February this year” is denounced. There are obvious omissions that should be taken into account in any serious document seeking to condemn censorship by the Cuban government against the citizens of civil society. The most outrageous censorship, for example, is manifested in the form of “rallies of repudiation” against civic activists, such as the Ladies in White and peaceful opposition groups, not since “recent months”, but over several years. At the same time, it is a dangerous practice that encourages hatred and violence among the legitimate children of one nation. One could extend the range of official condemnation to the blocking applied to other Web sites, of which the Critical Observatory is not quite the first victim, though that group has already had the civic mindedness to condemn censors’ practices. Websites such as Desdecuba.com and vocescubanas.com have been systematically blocked since 2008 and 2009, respectively, and from time to time are “hacked” by cyber-Taliban groups at the service of the Cuban government. Interestingly, among today’s victims, there are some who doubted the veracity of our reports of those facts, and only a few echoed our protest then. Many journalists and bloggers inside Cuba are deprived of their rights to go to connection sites, and are intercepted or detained by agents of the political police, even when it’s well known that they have to travel long distances as a rule, and with their own funds, to try to cyber-navigate only for a few minutes. This is another one of the many faces of censorship in Cuba. The latest edition of Gibara’s Festival del Cine Pobre was senselessly boycotted by Culture members, specifically by the ICAIC and by known “ideologues” servants of the government, despite the festival being a prominent, traditional and cultural event that has provided a venue for productions lacking in film financing and official patronage. For twenty consecutive years, permission to leave Cuba has been denied to the quasi-demonic blogger Yoani Sánchez, winner of several awards and also the recipient of punishments. The absurd Cuban immigration laws are one of the most humiliating forms of censorship that we Cubans have been enduring. These are some important absentees from the list, facts which — according to my personal opinion — also “stand out”, even when the intention of the referenced document is not to present a complete listing. In fact, I would have liked to meet the criteria for such a peculiar selection, or perhaps such exclusions don’t exist, and the events I labeled as missing are included in the generic category of “many others”. Let’s lay aside all possible suspicion. I don’t harbor any doubt about the rights of the entertainers who drafted Documento Contra la Censura to choose which events to include in their list and the time frames they consider appropriate. That is, if they assume that government censorship is reprehensible since last November onwards, then I have no objection. I’m on board too, because any censorship that curtails civil liberties is “reprehensible” at all times, even one that is directed against its own lines related to the official preaching, i.e., the left (note that I am only referring to “preaching, “assuming that the Cuban government is not of the left nor right, but “of itself”). And, of course, no one should demand a sort of droit de seigneur just for having been censured, reprimanded or threatened long before, or for not belonging to the ranks of believers-sympathizers of one or another ideology, or of none. 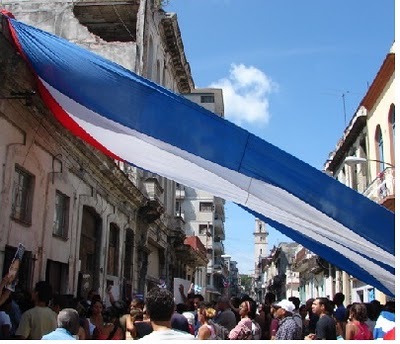 However, beyond the ideological difference of any group, it’s evident that numerous hurdles of mistrust need to be surpassed in the Cuban civil society. Reservations persist, instincts acquired through decades of exclusions, but sooner, rather than later, we will have to assume that civic activism is not confined to mere social or cultural aspects, since every independent or autonomous in Cuba is sheathed in an unavoidable political tone. On the other hand, politics is an element contained in the culture of any society. Why avoid the term? The causes of the real renaissance of civic activism on the Island have an undeniable political sheen from the very moment they face — intentionally or not — the monolithic power of over half a century of authoritarianism. Each independent project –whether about puppeteers, musicians, poets, liberals, socialists dilettantes or “pure of spirit”- is a challenge to the government and, for that matter, has an implicit “politics” attitude. At any rate, this Document is another positive step. Machines do not necessarily work at the same temperature, nor are all obligated to assume the same risks. As far as I’m concerned, I second any document that denounces any trampling on the part of the authorities and its agents against citizens. I don’t care if those who do the denouncing are from the right, left, center, religious, political or “apolitical”, insiders or outsiders, believers or atheists. Against censure, count me in.